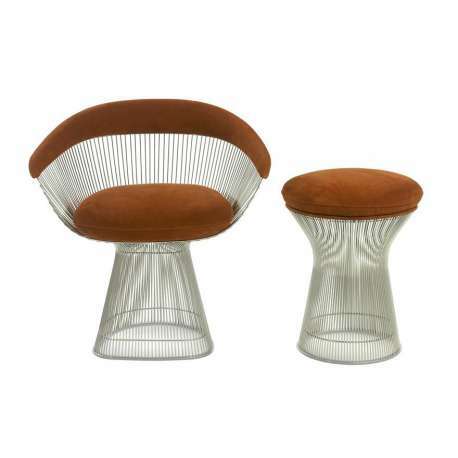 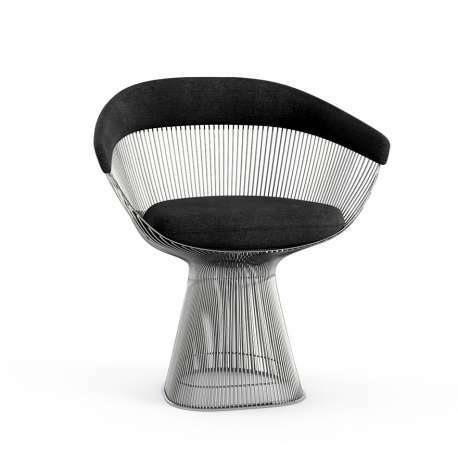 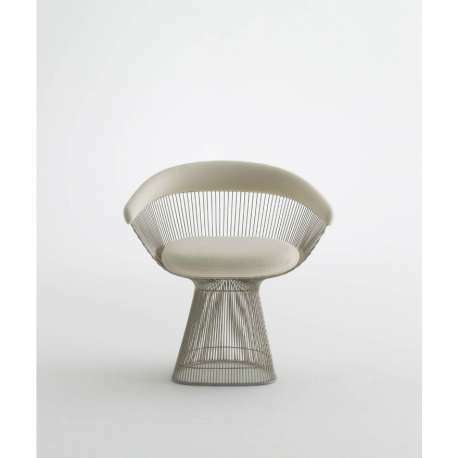 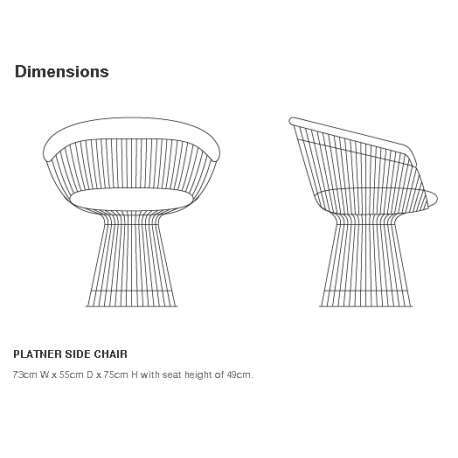 The Platner Side Chair is part of the unique furniture collection with soft and elegant shapes, designed by Warren Platner in 1966. 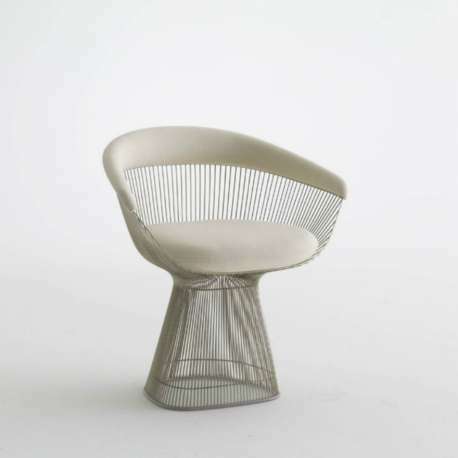 The complex design is an example of innovative production techniques, with each chair requiring more than one hundred cylindrical steel rods. 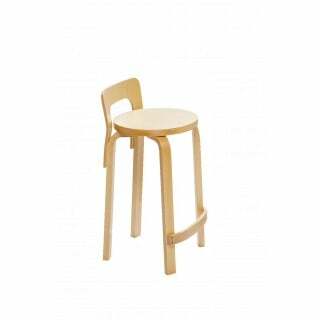 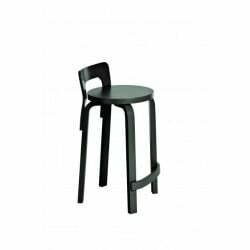 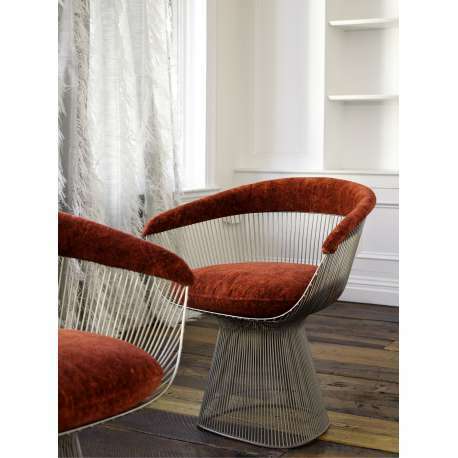 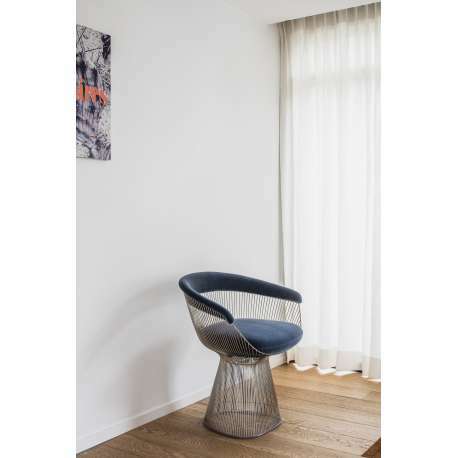 The iconic Platner Side Chair – both functional and decorative – will claim attention in your interior. 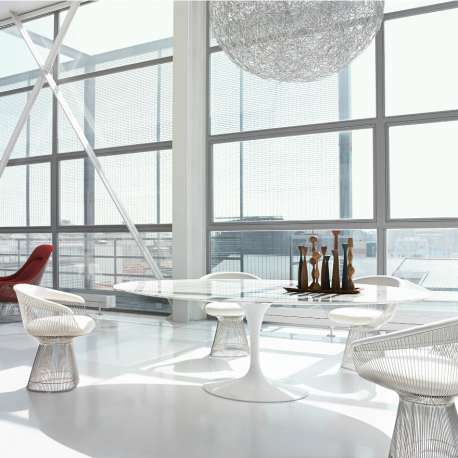 Bright nickel finish with clear lacquer protection. 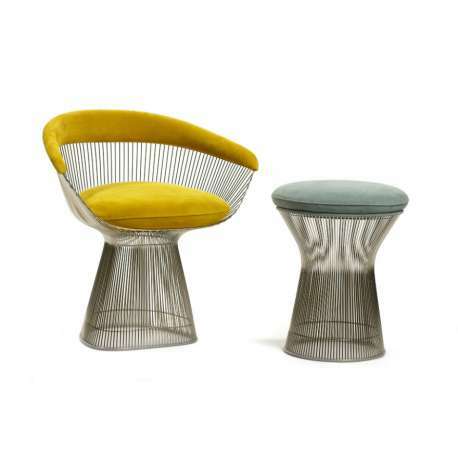 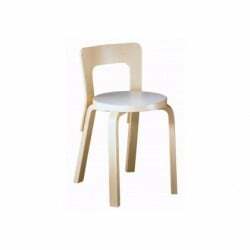 Durable and soft velvet upholstery.